[SOLVED] How to refresh the fields in a popup for Operations Dashboard? I have a hosted feature layer that I had added to an Operations Dashboard. Then I removed 3 fields. Within the map viewer, when I click on a point, the popup displays correctly with the 3 fields removed. Within the operations dashboard map, when I click on a point, the popup still displays the old fields. How do I refresh the Operation Dashboard with the changes? My solution was to re-create the hosted feature layer, rebuild the web map and use the new web map in the dashboard. If you've saved the pop-up configuration change to the webmap (or layer item if applicable), then after refreshing the dashboard it should display correctly in the pop-up of the dashboard map. Modifications to the schema of the layer (e.g., deleting three fields) could cause issues for the dashboard, if this is what you are doing. In either case, I suggest you work with Esri Support to resolve the problem if it persists. I agree that this is expected behavior. After talking with other Operation Dashboard users, it appears this is a known issue and rebuilding the dashboard is the typical workaround. 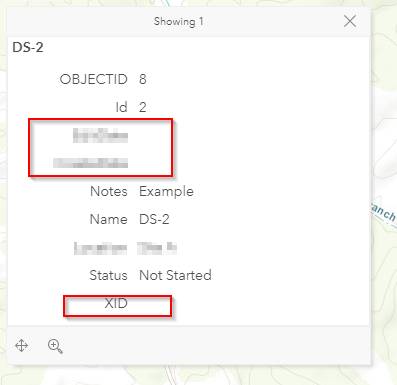 [SOLVED] New fields added via ArcGIS Online not appearing on Collector? Calculating average time per unit in Operations Dashboard for ArcGIS? [SOLVED] Joining Google Docs table to feature class at ArcGIS Online to use in Operations Dashboard? [SOLVED] ArcGIS Operations Dashboard: Is there a way to create a widget which counts the occurrence of a text attribute?